Rachel Abrams, who passed away in June 2013, was a writer who served on the board of the right-wing Emergency Committee for Israel (ECI). Known for her sharp tongue and vitriolic rhetoric, Abrams was the author of the blog Bad Rachel, which periodically made headlines for its over-the-top condemnations of liberals, Palestinians, critics of Israel, and anyone who happened to disagree with her views. Eulogizing Abrams’ passing, the Washington Free Beacon called her "a writer who did not care about politically correct convention," and praised her "gift for saying the things the rest of us were not supposed to say with verve and wit." Abrams was the member of a well-established family of neoconservative writers, pundits, and government officials. Her husband was Elliott Abrams, a veteran of both the Ronald Reagan and George W. Bush administrations who was convicted (and later pardoned) for his role in the Iran-Contra scandal; her mother, Midge Decter, has served on the board of the Center for Security Policy and was a founding member of the Project for the New American Century and the Reagan-era Committee for the Free World; her step-father, Norman Podhoretz, is a former editor of the magazine Commentary and a widely recognized trailblazer of the neoconservative movement (Norman’s son from another marriage, John Podhoretz, is currently editor of Commentary); and her sister, Ruthie Blum Leibowitz, is a columnist for the conservative Jerusalem Post. "If her parents Midge Decter and Norman Podhoretz and the late Irving Kristol were the intellectual leaders of neoconservatism," wrote Washington Post blogger Jennifer Rubin after Abrams' death, "then Rachel was the heart and soul that bound so many together." Abrams served on the board of the Emergency Committee for Israel, a Noah Pollack-led advocacy group established in 2010 in part to counter the Mideast policies of President Barack Obama. Other board members have included William Kristol, editor and founder of the Weekly Standard and cofounder of the Foreign Policy Initiative; and Gary Bauer, a well-know Christian Zionist who has helped lead pressure groups like American Values and Keep Israel Safe and serves on the executive board of John Hagee’s Christians United for Israel. ECI has promoted views similar to those of Israel’s right-wing Likud Party. In an April 2013 public memo addressed to Prime Minister Benjamin Netanyahu, ECI took issue with an open letter from the Israel Policy Forum (IPF) calling on Netanyahu to “work closely with Secretary of State John Kerry to devise pragmatic initiatives, consistent with Israel’s security needs, which would represent Israel’s readiness to make painful territorial sacrifices for the sake of peace.” The IPF letter was signed by 100 prominent Jewish Americans, including former America Israel Public Affairs Committee executive director Tom Dine and former U.S. Defense Undersecretary Dov Zakheim, among others. Jim Lobe and Eli Clifton commented on the ECI letter on LobeLog: “As their short list of signatures suggests, US Jews, in any event, don’t agree with ECI’s extremist views.” Clifton and Lobe pointed to results of surveys of Jewish Americans substantiating their argument. Abrams debuted her blog Bad Rachel in February 2010. Mostly tongue-in-cheek commentary and parodies of liberal officials, her commentary fervently defended the state of Israel and often angrily criticized anyone who disagreed with her views. For instance, in an April 2012 post flagged by the Beacon, Rubin directed a fiery invective at liberal Jews and critics of Israel on Holocaust Remembrance Day. "[W]hile you’re whispering your 'love' for Israel in the tongue of anti-Semitism," she wrote, "while you’re sniffing the scent of our blood, we’ll be counting our dead, and when we’re done with that, we’ll be reminding you never to forget the mighty hand and the outstretched arm—and the long memory—of the Israeli Defense Forces." 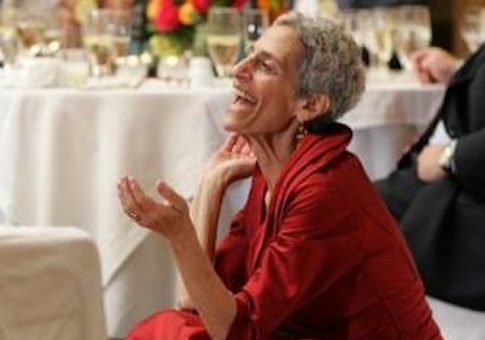 Washington Free Beacon, " Rachel Abrams, 1951-2013," June 10, 2013, http://freebeacon.com/rachel-abrams-1951-2013/. Jennifer Rubin, " Rachel Abrams, R.I.P.," Washington Post "Right Turn" blog, June 10, 2013,http://www.washingtonpost.com/blogs/right-turn/wp/2013/06/10/rachel-abrams-r-i-p/. Eli Clifton and Jim Lobe, “The Emergency Committee For Israel Speaks for itself and not much else,” Lobelog, April 5, 2013,http://www.lobelog.com/the-emergency-committee-for-israel-speaks-for-itself-and-not-much-else/. Emergency Committee for Israel, “ECI’s Letter to Prime Minister Netanyahu,” April 4, 2013,http://www.committeeforisrael.com/eci_s_letter_to_prime_minister_netanyahu. Rachel Abrams, " Yom Ha Shoa," Bad Rachel blog, April 18, 2012, http://badrachel.blogspot.com/2012/04/yom-ha-shoa.html. Rachel Abrams, "Gilad !!!!!!!!! !," Bad Rachel blog, October 18, 2011, http://badrachel.blogspot.com/2011/10/gilad.html?spref=tw. Andrew Sullivan, "Malkin Award Nominee," The Dish, The Daily Beast, 18 October 2011,http://andrewsullivan.thedailybeast.com/2011/10/malkin-award-nominee-4.html. Rachel Abrams, "Headache among the Believers," Bad Rachel blog, July 1, 2011,http://badrachel.blogspot.com/2011/07/headache-among-believers.html. Rachel Abrams, “On That 70 Percent of the Jewish Vote ,” Bad Rachel, November 7, 2012,http://badrachel.blogspot.ch/2012/11/on-that-70-percent-of-jewish-vote.html. Matt Duss, “‘Prissy Schoolmarm’s Lips,’” The Wonk Room, November 2, 2009,http://wonkroom.thinkprogress.org/2009/11/02/prissy-schoolmarms-lips/. Daniel Luban, ‘Rachel Podhoretz Decter Abrams’s Gay Problem — And Ours,” Inter Press Service, Lobelog.com, July 13, 2010,http://www.lobelog.com/rachel-abrams-gay-problem/. Rachel Abrams, “On the Middle East, It’s Déjà Vu,” The Weekly Standard Blog, March 19, 2009,http://www.weeklystandard.com/weblogs/TWSFP/2009/05/on_the_middle_east_its_deja_vu.asp. Rachel Abrams, “Shameful,” The Weekly Standard Blog, September 17, 2009,http://www.weeklystandard.com/weblogs/TWSFP/2009/09/shameful.asp. Rachel Abrams, " Hillary and the Terrible, Horrible, No Good, Very Bad Foreign Policy Day(s)," Bad Rachel blog, February 15, 2010, http://badrachel.blogspot.com/2010/02/hillary-and-terrible-horrible-no-good.html. Rachel Abrams, “We Are On the Wrong Side,” The Weekly Standard Blog, December 31, 2009,http://www.blackcatrum.com/weblogs/TWSFP/2009/12/we_are_on_the_wrong_side.asp. Rachel Abrams, “When a special prosecutor comes into your life,” The Washington Times, March 10, 1994, p. A21.